Lots of cars are reliable. Lots of cars aren’t reliable. A lot of British and German cars fall into the not-so-reliable category. My uncle can attest to that with the fact that his 2001 Jaguar XK8 has spent about half of its life in the shop. On the other side of reliability, another one of my uncles had an Audi Quattro for something like 10 years, and he never had any reliability issues. My dad’s had trouble with his 2003 GMC Sierra 2500 HD with the Duramax diesel engine. My 2003 Chrysler Town & Country is just a few hundred miles away from hitting 200,000 miles, and it’s been one of the most reliable cars that I’ve ever seen. Anyhow, the basic premise of this blog post is to tell you the top 10 cars that we all love, even if they were (or still are) lemons. 2001-2005 Porsche 911 and Boxster: The 996-generation Porsche 911 was the first Porsche to ever have a water-cooled engine. For Porschephiles, that’s the equivalent of the Pope converting to Buddhism. 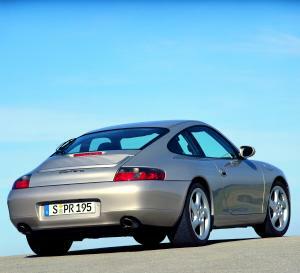 The 2001-2005 Porsche 911 and Boxster had a teeny, weeny, little problem with their engines where the faulty intermediate shafts could fail, turning a fine sports car into a very expensive paperweight. Even after enough owner complaints, Porsche started fixing the problem, but only on a case-by-case basis, which meant that many owners were left out to dry unfairly. It’s easily one of the largest black spots in Porsche history, which is a true shame, because these cars were otherwise some very nice drives. 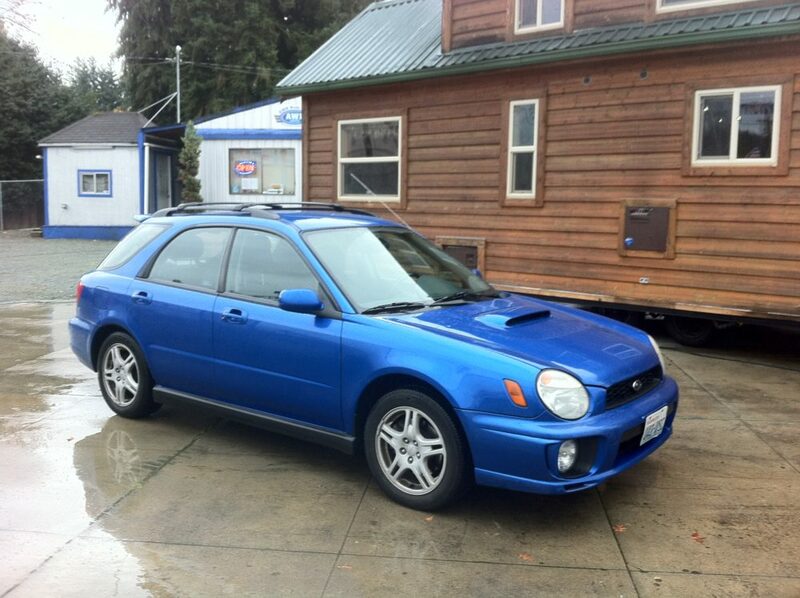 2001-2003 Subaru WRX: The first Subaru WRX to be offered in the U.S. had a massive problem with the transmission. The five-speed manuals were extremely fragile, and the tuner-friendly engine often meant that the tiny boxer four-cylinder engine was tuned to within an inch of its life. All Subarus have problems with their head gasket, but the 2001-2003 WRX often gave its head gasket up before it even reached 100,000 miles. I can forgive all of this, because aside from these two problems, it’s a reliable daily driver that’s a LOT of fun. The purity of these WRX’s means that your inner Swedish rally driver fantasies can come true. 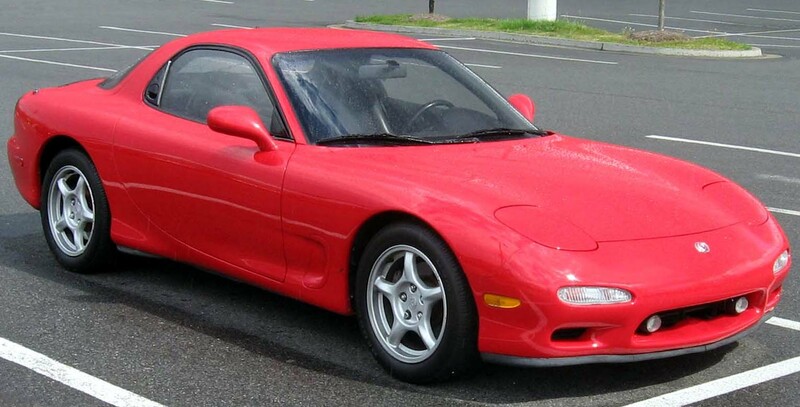 1993-1995 Mazda RX-7: One of the last rotary-powered cars (the last was the Mazda RX-8), the Mazda RX-7 was a true driver’s car. However, apex seal failure hangs over every owner’s head like a cloud. Apex seal failure means a complete engine rebuild or replacement if the car is not maintained at the proper intervals. The massive amounts of premium fuel and oil going into the engine didn’t help matters, either. Still, the 3rd-generation Mazda RX-7 is an amazing driver’s car. Plus, many owners say that there’s truly nothing like spooling up the second sequential turbocharger. Mazda had made the RX-7 with two turbochargers – one for the lower rev range only, and the other for the upper rev range only. It’s been a long, long time since the last RX-7 was built, and I really hope that Mazda gets their act together and builds an RX-9. 1999 Ford Mustang SVT Cobra: This was a one-model-year special put on by Ford, and it was supposed to be a drag racing special for the street. However, it didn’t take long for enthusiasts, mainly drag racers, to figure out that it was making WAY less than the 320 horsepower that Ford advertised. Ford traced the problem to aluminum residue in the intake and exhaust systems. Ford did well by fixing the problem free of charge. However, the public snafu on Ford’s part caused Ford to drop production of the SVT Cobra after just one model year. The upside is that there are no other reliability problems with the SVT Cobra Mustang. Because it’s a single-model-year special-edition Mustang, it’s got potential to be a future classic. Don’t be intimidated if you see one for sale with lots of modifications – Ford designed this car to be tuner-friendly. Just make sure that there’s good documentation of the car. 2008-2010 Nissan GT-R: Like many supercars, the Nissan GT-R came with launch control. The difference was that the launch control function could potentially blow up the transmission and void the warranty, leaving the unlucky owner with a $20,000 repair bill. Nissan settled a class-action lawsuit in Decemer 2010, and the launch control was dialed back on 2011-up models. It’s impossible not to love the GT-R and it’s mind-altering ability to be an absolute freight train on race tracks of any kind, just avoid the hard launches. 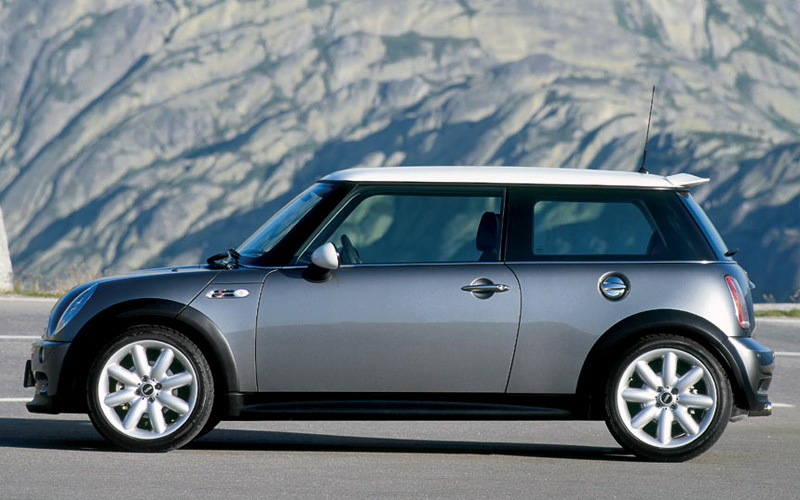 2001-2006 MINI Cooper S: Anybody who was (or is) an owner of the 2001-2006 MINI Cooper S felt more like a beta tester for a video game than anything else. Here’s the relatively short list of, uh, ‘bugs:’ Electric power steering pumps that could catch fire, supercharger failure after just 80,000 miles, and head gaskets that seemed to be timed to blow up as soon as the warranty expired. Despite it being a sub-$20,000 car new (and used), it’s got maintenance costs of a 2001-2005 Porsche 911 or Boxster (see #1 on this list for reference). If you can forgive those faults, the handling is some of the best this world has ever seen. 2010 Ferrari 458 Italia: Most mid-engine Ferrari’s have a wholly undeserved reputation for spontaneous combustion. However, with the 2010 Ferrari 458 Italia, the argument was valid. The adhesive bonding between the wheelwell and the engine heat shield would melt and catch fire. Reports vary, and if Ferrari is to be believed, only 11 cars were affected by this. All 1248 Ferrari 458 Italias sold until that point were recalled. Ferrari still claims that this only happened during hard driving, but asking owners of Ferraris to not drive their car hard is laughable. After the concerns of owners becoming BBQ, the Ferrari 458 Italia once again ascended to its rightful place as the best mid-engine car the world has ever seen. 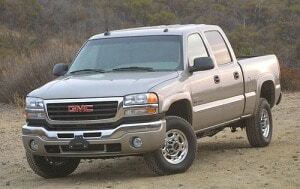 2003 GMC Sierra 2500HD: These things are supposed to be bulletproof, right? Think again. The fuel injection systems on the Duramax diesel-engine trucks are notorious for the fuel injectors cracking. My dad has a 2003 GMC Sierra 2500HD, and the engine’s been rebuilt something like 4 times. If you buy one of these vehicles, make sure to get it with the LQ4 6.0-liter V8. The Allison 1000 heavy-duty transmissions will go over 150,000 miles without trouble. Just DON’T get it with the Duramax! Not only are engine rebuilds expensive, but they are frequent. If you buy one, make sure you find one with good documentation, as many of these were used for hauling and towing, both of which put phenomenal stress on the engine and transmission. 1996-2005 Volkswagen Passat: This was the infamous era of VW unreliability. The B5-generation of the Passat had steering problems – the rack-and-pinion assembly was prone to stripping, which means no steering. When it stripped, it would burn out the power booster, which means that other parts are brought into the mix. Volkswagen made a lot of these cars, and some of them are good. Other family sedans are good choices. 2003 Land Rover Freelander: This is quite possibly one of THE most unreliable vehicles EVER! It was quite simply bad. The engine was bad, the cheap interior fell apart after just a few thousand miles, and forget replacing parts for it. The replacement parts were usually just as bad as the stock parts. Avoid this car at ALL costs! Remember when I told you that I was having some technological issues last week? Well, thanks to a different IT department (NOT the Apple Store! ), everything is fixed and just itching to be published. I now have a YouTube account called unmuffled auto news. I just added my first video yesterday to my channel (exciting, I know!)! So, click the link provided, and enjoy the show! Don’t you just LOVE the sound of a big old American-made V6? VROOOM! Be Careful Driving These Cars! For those of you who own a 2009-2010 Dodge Ram 1500 pickup and/or a 2012 Jeep Grand Cherokee, listen and listen good! The 2009-10 Dodge Ram 1500 has a problem where the variable-speed gears in the rear end will stop turning (mostly at highway speeds), causing the rear wheels to lock up. Several people have complained to NHTSA about the rear wheels locking up while on the highway and their truck spinning out. Of course, NHTSA started investigating, and found out that there is a small software glitch that tells the gears to stop spinning. This means that up to 230,000 Ram 1500 pickups will be recalled. The closest dealer will fix the truck for free! With the amazing new Jeep Grand Cherokee, everything seemed fine until somebody called Jeep to tell them that a fire had just occurred. Jeep, not expecting something like that, called NHTSA almost immediately. NHTSA found out that the power-steering fluid hoses can leak onto the hot engine, which could start a fire! If you take your 2012 Jeep Grand Cherokee (with any engine) to your local dealer, it will be fixed with heavy-duty hoses. “Uh, this 4.3 liter engine isn’t stock for 1982. This engine was stock from 1988 on, though.” Those were the somewhat dismaying words that I heard from the local O’Reilly auto parts guy. Yesterday, as I was calling various car parts stores to see if they had an A/C belt for a 1982 Chevrolet S10 with the 4.3 liter V6, everybody said that it wasn’t a stock engine (’82 engines were a 1.9 liter four cylinder and a 2.8 liter V6). After trying to convince the Pepboys people that the 4.3 liter WAS a stock engine for almost five minutes, I hung up with an exasperated “Thank You.” I then sent a text to my dad. When I got back that evening, we checked the VIN of My Baby, and we found out that My Baby was actually manufactured in July of 1989! Oops! So, she DOES have a stock engine (sorry O’Reilly, you were right!). Help, I Need Somebody – Help! Help me! Please? Pretty Please? Okay, I’ll stop whining and cut to the chase (Zoomvroom, blog, take 37!). . . So, however hard I look, I can’t seem to find a Chilton’s manual for my Baby! This is a challenge to you! If you can find a link or Chilton’s Repair Guide for a 1982 Chevrolet S10 Tahoe with the 4.3 liter V6. I’ve looked everywhere: eBay, the Chilton’s Repair Manual for the 1982 Chevrolet S10 Tahoe with the 4.3 liter V6 and four-speed automatic is nowhere to be found. As I said, I have thrown the gauntlet. You can chicken out, or find a link and/or a manual for me. . .
A serpentine belt (also known as the accessory belt) is a continuous belt that winds its way along the front of the engine (it is often close behind the radiator fans). The belt goes round and round. With a belt tensioner (or an idle pulley for diesels) it drives such things as the; alternator, power steering pump, water pump, a/c compressor, air pump, starter motor, etc. Serpentine belts are so called because they look like a snake winding around. Serpentine belts need to be made from heat withstanding rubber, because the friction will fray or cause a fire to a less hearty substance. With cars 25-30 years or older, there could be a belt for every two or three accessories. In the old days, with no housing around a belt, they would pop off and get shredded by the radiator fan! When that happened, call a tow truck and expect a large mechanic’s bill! One of the good things about a serpentine belt is that, since it is only one belt, it is much easier to maintain than 8 belts. But, it can break under low tension. High tension is best, but if it is too high, the belt will shred itself. If you are worried about the belt breaking, look on the side with the little ribs. So, I’m sure that many of you have had a leaky radiator. This can be a quick and cheap or an expensive problem. I know this, as I’ve heard stories of it, and it just happened the other day to Mom’s Chrysler Town & Country. You know the setting. You pull into the driveway, turn the engine off, and start walking towards the house. Just as you enter the house, you remember you forgot your cell-phone in the car. You run out to the car, and see smoke pouring out from under the hood. You pop the hood open, and the radiator is smoking. You call Triple A and the mechanic (or dealer), and the car ends up at the mechanic’s shop. The mechanic says, “Well, looks like you need a new radiator. Hmmmm…Yeah, yaw’re radiator is smoking.” You end up paying $500 big ones for a new radiator. So, I think right now’s a good time to tell you how to look for telltale radiator leaks, and how to prevent them. Low coolant level. This is NEVER good, so check the radiator coolant level from time to time. Your coolant level can go from full to almost empty (what happened to my truck 15 years ago) Also, check your radiator before you go on a road trip over 200 miles. A good amount of smoke pouring out through the grille. This usually means that there is a leak on a radiator hose, which gets very hot, and the coolant is starting to burn. It won’t do any serious damage to your engine, but you will need to replace the hose. A puddle underneath your car. It will be: bright (never shiny), neon-green, have a slightly radioactive look to it, and slimy to the touch. DO NOT touch your face, or any part of your body with the body part you used to touch it with. Wash your hands! It is ethylene glycol. It is one of the most toxic chemicals ever invented. This is your radiator coolant. This will need to be cleaned up properly. DO NOT use laquer thinner! It will only make it soupy and sticky. Use some sort of absorbent material such as sand, kitty litter, or canvas. Use rubber gloves and paper towels to clean it up! According to the EPA, radiator coolant can go in through your pores, causing severe internal damage. Blechg! If you have a pressurized radiator (where a certain pressure is kept to maintain a cool engine), and have any of the above problems, call a mechanic right away! You will have severe problems if you let it be. I won’t even tell you what will happen if you let it be! It makes me queasy just to think about it! I know what it’s like to have to get a year-old radiator fixed, as Mom’s Chrysler Town & Country just had the smoke and leakage out a hose problem…Dad and I pulled into the driveway, got out of the car and saw some smoke pouring out from under the hood. We popped open the hood, got a flashlight out, and saw some neon-green, bright stuff on a radiator hose. Dad repeated some ‘unworthy of this blog’ words, and called the mechanic first thing in the morning. I hope that it’s nothing serious, but hopefully, we’ll just need to get a new hose. Some cars need radiator repairs more than others, but that may just be because you tow and/or haul a lot. If so, then you’re engine has to work harder with that load behind you. Buy a New Acura NSX, Get a Custom Film! The auto dictionary. Look it up here! Email Subscription. I post Tuesdays and Fridays.